NYC Lady Liberty! 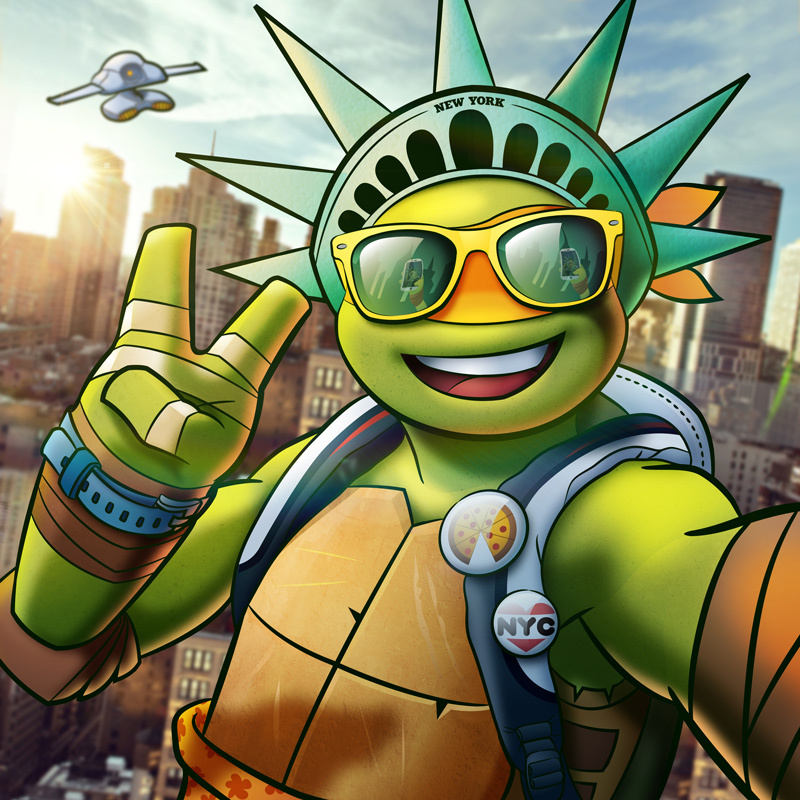 This is another piece done for Nickelodeon on their popular 2012-2017 Teenage Mutant Ninja Turtles cartoon series. I thought this was a pretty clever piece! Nickelodeon kinda gave me free range on these concepts. 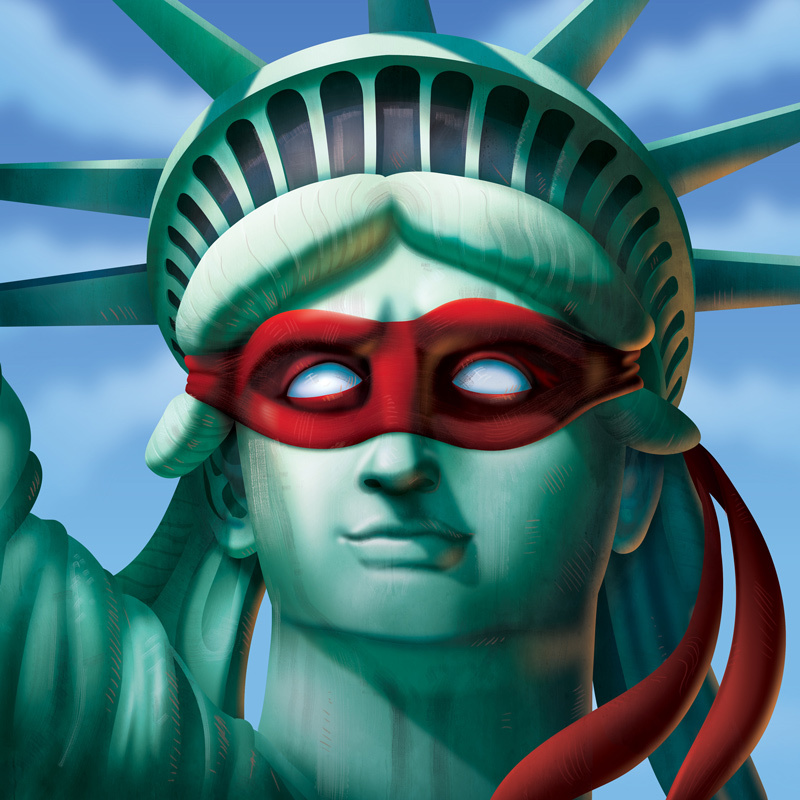 They wanted to advertise some upcoming episodes in which the turtles had completed their mission in space and were returning back home to earth and NYC. 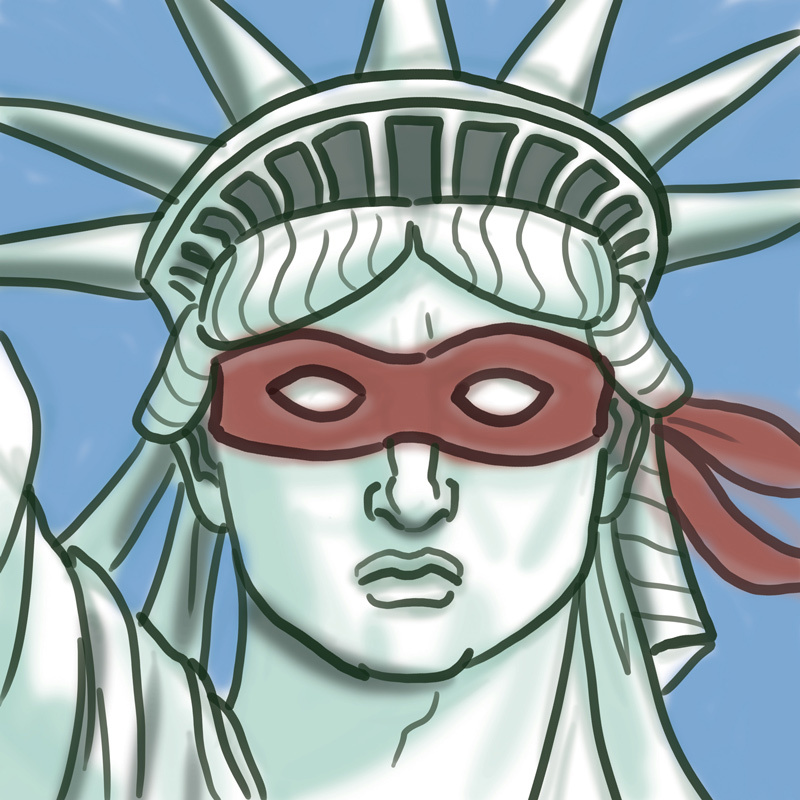 I had the idea of doing Lady Liberty with some rad turtle gear, the iconic red headband. 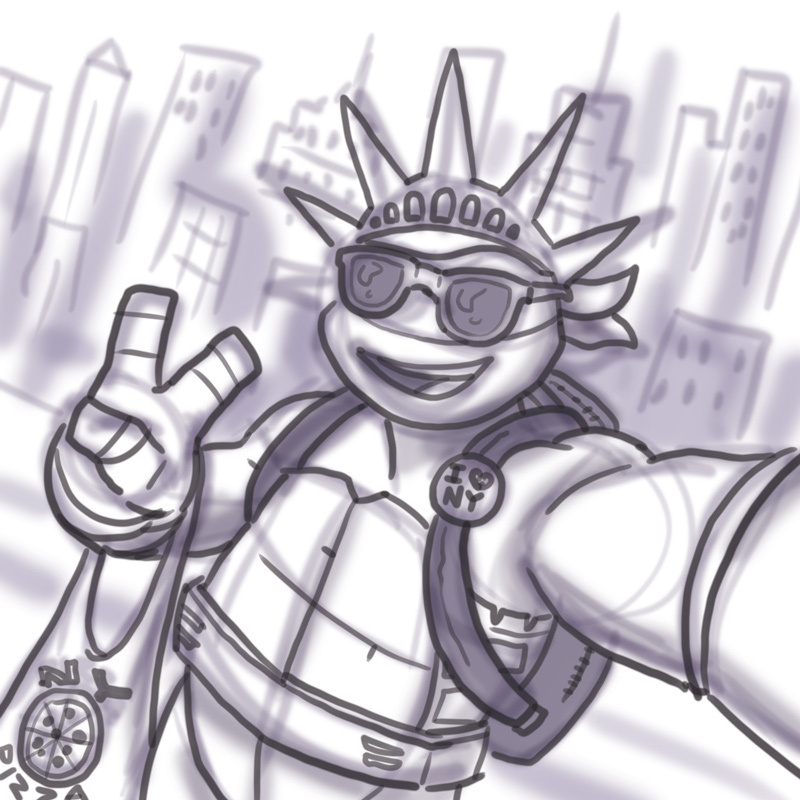 The other piece was a selfie from Mikey himself, so glad to be home that he’s playing the tourist role. It was a blast to get the call to do this series of pieces. I’ve always loved Ninja Turtles since I was a kid. Getting to officially do pieces for the show was a dream come true.